Kent Place School was founded in 1894 on the former summer estate of New York State Chancellor James Kent. 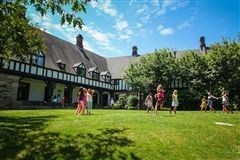 With a blending of historic Tudor architecture and more modern facilities, the campus is comfortable and welcoming. 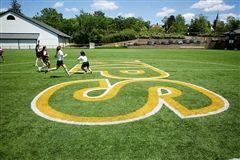 Our 45,000 square foot Upper School was designed and constructed to achieve LEED Gold certification. Our newest building on campus, the Center for Innovation (CFI) is a learning center focused on the study of STEAM subjects. 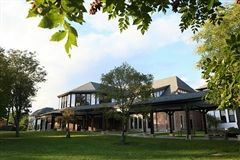 The center includes innovation labs, mathematics studio and classrooms, a STEM lab, a technology center, a library and information center, a media and production studio, a global leadership center, the Kent Place Gallery, and visual arts studios. 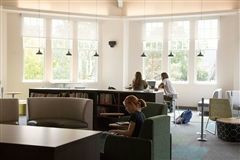 Bright, comfortable window seats in the Middle and Upper School buildings provide the perfect setting for quiet reading or conversation. They are also favorite meeting spots for groups of girls throughout the course of the day. 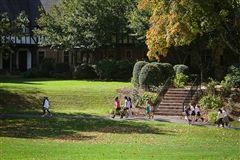 Mabie House's front portico and lawn play host to dances, student luncheons and dinners, alumnae gatherings, and other special celebrations at Kent Place. The Mabie House Commons Room is a frequent site of class and club meetings and evening events. 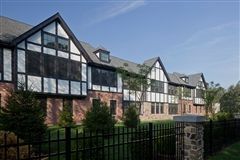 This building also houses the Head of School's Office, the Advancement Office, Admission Office, Communications Office, College Advising, Business Office, and faculty and staff residences. Mabie House was built in 1931. 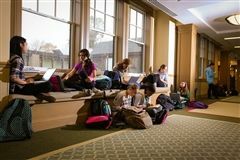 Class lounges, a longstanding tradition in the Upper School, offer a haven from the hectic pace of the day and build a sense of community among class members. Girls gather here at the beginning and end of the day, during free periods and for class meetings. Their own decorations and a class mascot add a sense of fun, and personality. The Kent Place Gallery, located in the Center for Innovation, is open to the public and hosts a number of exhibitions by professional artists each year. 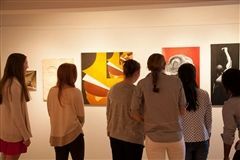 These guest artists typically meet with students and teachers to discuss the work on display. 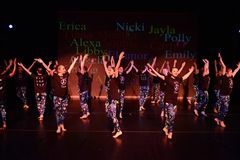 Student exhibitions also take place throughout the year, giving girls the valuable experience of presenting their work before a larger audience. The Primary School science room is designed to spark girls' budding curiosity about the world around them. 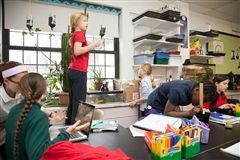 A coral reef tank, lizards, fish, and birdfeeders help to bring nature into the classroom. Hands-on projects, such as recreating the "food web" that connects different sea animals, help girls to see science in action. With multiple turf playing fields and a wealth of open green space, our campus easily accommodates team practices and games. Other athletic facilities include five tennis courts and a field house, which is equipped with a gymnasium and weight room. The McDermott-Wight Dining Hall is one of the liveliest spots on campus. 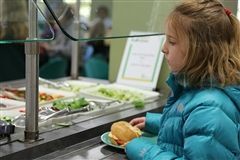 At lunchtime, students have a choice of hot entrees, deli sandwiches, soups and a salad bar. But their favorite part is getting dessert from the frozen yogurt machine! Girls also can grab a snack during break times throughout the day. 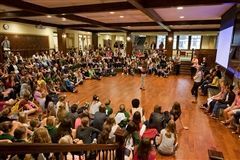 Middle and Upper Schoolers often use the dining hall for fundraisers, charity drives, and sports team meetings. Students feel at home here. Our 26-acre campus offers wide open spaces and towering trees and blends a sense of history with growth and change. The 260-seat theater in the Arts Center hosts a number of performances throughout the year, including theater productions, concerts, and dance recitals. 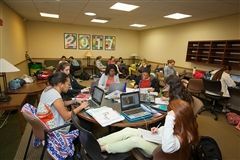 Middle and Upper School girls share a library that features online catalogs, research databases and an outstanding collection of fiction, non-fiction, and periodicals. A bright and open study space makes this a popular destination. In one of our lively Preschool classrooms, Junior Pre-Kindergarten students experiment with "goop" at the sensory table. Through dynamic, hands-on activities that the children love, we teach the beginnings of literacy, math and science. While each year, more than half of our Upper School students take on formal leadership positions within the school, every student learns to be a leader in her own way. Some girls lead class discussions, others speak publicly at Morning Meeting, at school events, or at conferences and competitions. 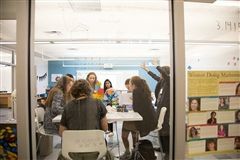 Our Innovation Lab, located in the Center for Innovation, is a flexible space designed to inspire learning and spark the imagination and curiosity of our scholars at KPS. 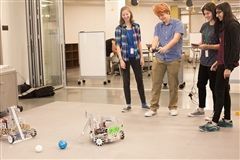 The lab is open to all divisions and classes and is home to our Robo-Dragons robotics club. 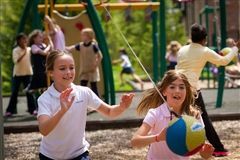 In addition to classroom time, Primary School students enjoy outdoor play on our four age-appropriate playgrounds. 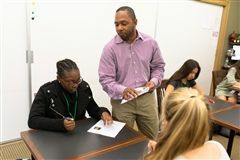 The Math Studio, staffed by KPS Mathematics faculty, is a destination for students to seek guidance for their mathematical work across the curriculum. It is also a space of inspiration for creative work, study, instruction, experimentation, and discussion. Humanities classrooms are structured to be multimedia in nature. Smart boards are technology-responsive, yet can also be used as white boards for instruction or collaborative work among students. 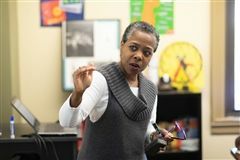 World language classes include Spanish, French, Mandarin, and Latin. As students advance in their learning, classes become more immersive, allowing students to enhance their skills as they speak, hear, and write in their chosen language for the entirety of the class period. Come visit Kent Place and you’ll quickly see that every corner of the campus rings with history, glows with possibility. Look in any direction and you’ll find circles and clusters of brave and brilliant girls. We’re building a lemonade stand, we’re planning a Kenyan service trip, we’re cheering the softball team. We’re debating Moises Kaufman, we’re planning the Halloween Parade, we’re sharing traditional family foods, we’re changing for Tap Ensemble. We’re sprawled on the lawn, huddled in our class lounges — asking tough questions, confiding big dreams, making serious plans. And then suddenly you’re swept up, you’re a part of it all — lighting your candle, receiving your daisy, knowing this is the moment your life truly begins. Please visit Admission Dates & Events for a current schedule of our on- and off-campus opportunities. You may also call the Admission Office at (908) 273-0900, ext. 254 for more information or fill out our online inquiry form to be included on our mailing list to receive open house invitations.